Whereas Americans typically serve eggnog for the Christmas holidays, in Latin American households we serve something called Coquito. It is Coconut Rum Eggnog, that will knock your socks off, and it’s absolutely delicious! 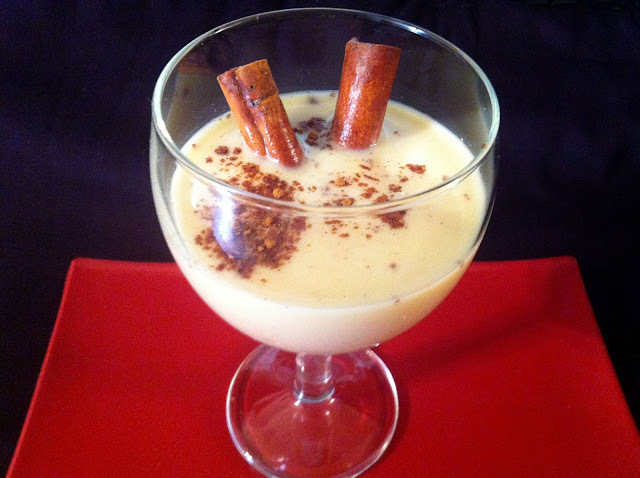 I’m sure after tasting this you will want Coquito served at your next Christmas dinner. Place eggs and rum in a blender, and run at high speed. Lower speed to medium, and add additional ingredients. Place in a glass bottle, and chill for several hours. Serve in small festive liqueur glasses, garnished with extra cinnamon and cinnamon sticks.